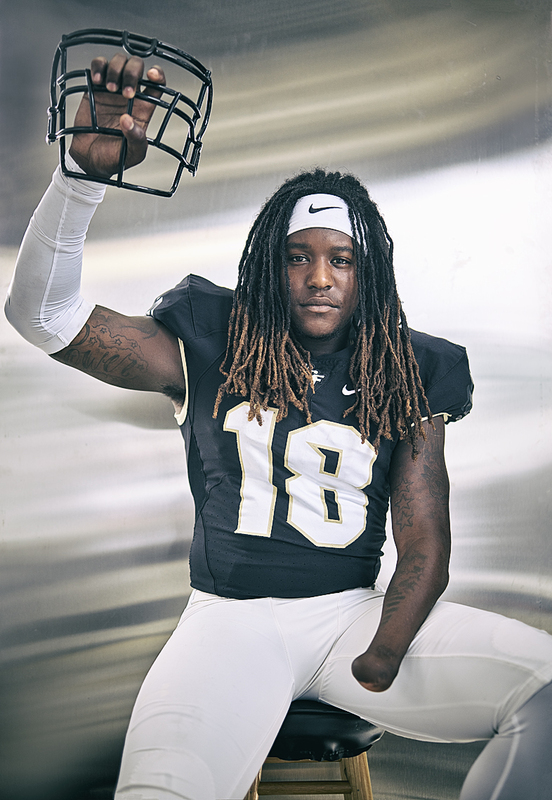 Linebacker Shaquem Griffin is quickly becoming one of the most popular prospects in the 2018 NFL draft. He lost his left hand due to a rate prenatal condition, but that did not prevent him from being named the American Athletic Conference Defensive Player of the Year in his first year as a starting outside linebacker in 2016. Photographed for Sports Illustrated magazine by Miami advertising, portriat and fitness photographer Jeffery Salter.